I can’t believe what I witnessed on national television yesterday! 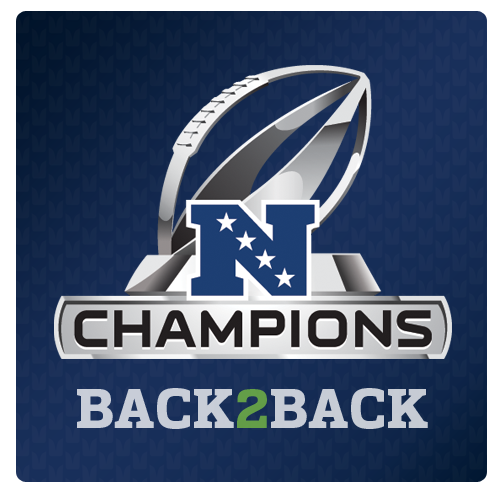 The Seattle Seahawks broke the record for a comeback win in conference championship game history. Down by 16 points at half-time, they beat the Green Bay Packers 28-22 in overtime! The anticipation was high in our city (Seattle), in our work places, in our churches, and in our homes the last week for the NFC playoff game against the Packers. Confidence was high, and people were downright cocky at times. It was all in good fun as we hoped for a chance to defend our Super Bowl Champion Title in Arizona next month. After the first half of play, Seattle was down by 16 points: 16-0! How could that be? No team had ever come back to win a post-season game by that large a margin. Who was that team playing on the field? It was as if they were stripped of all their magical football mojo and someone else was playing in their place. Turnovers…sacks…no first down conversions. It was painful to watch. But they say patience is a virtue. Indeed it is. The Seahawks won the game (final score 28-22) in overtime, scoring 14 points in the last 4 minutes of the regulated game. They did it with special teams, an onside kick (something I had never heard of) and playing like I’ve never seen football played before. Even the sportscasters were in a state of shock! I know a winning team when I see one. And I know what it takes to persevere through hardship and fight to come out on top. I couldn’t believe it when I started to see a rapid fire turn of events on the field. The plays all started to go our way. Even with Seattle still at 2 touchdowns behind and 4 minutes left to play, the sports announcers started to say that the game wasn’t over yet. I’m not going to recap what happened in the last few minutes of the game or how Seattle won in overtime. There are hundreds of sports writers who are doing that. My perspective as a fan of football and a believer in the power of our minds, is that the Seahawks ‘never quit, never doubt’ attitude is what won this game. 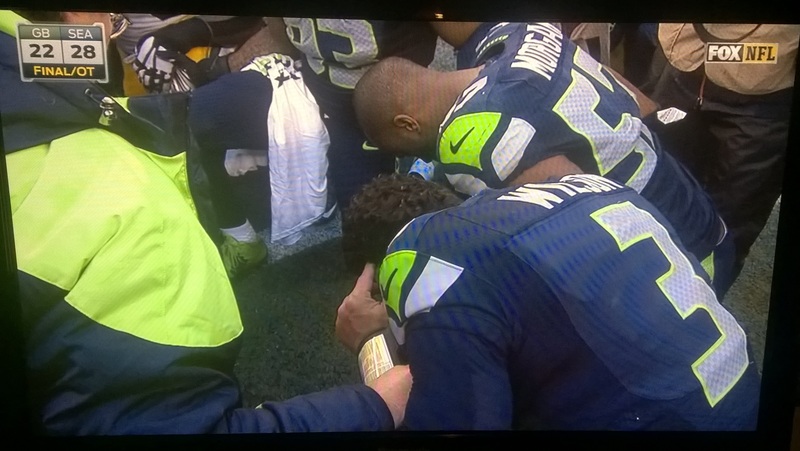 Russell Wilson and Seattle Seahawks in prayer after the game. In the post-game interviews and comments, Russell Wilson, Seattle’s quarterback, quickly gave God credit for the victory saying, “God is good, all the time, every time.” He also predicted the game-ending touchdown pass to Jermaine Kearse minutes before. Russell was confident. He bolstered his teammates throughout the game and he never gave up. He is a true inspiration to others—his teammates, his community, and to kids everywhere. That game was about to be stolen!!!! It is not unlike what Satan does to us every chance he gets. He plants the seed of doubt. He puts obstacles in our way to discourage us and to tempt us to give up. And after a winning play (insert accomplishment or whatever gives you pleasure), he tries to sideline us and steal that joy!!! Russell Wilson and the Seahawks were not going to let the Green Bay Packers steal their joy, or that of the 12th man contingent. They fought to the finish. They fought the good fight. And in the end if they lost that game, I would still have praise and pride in this team for giving us 12s the most exciting football game I’ve ever watched. We know who wins the game of Life. 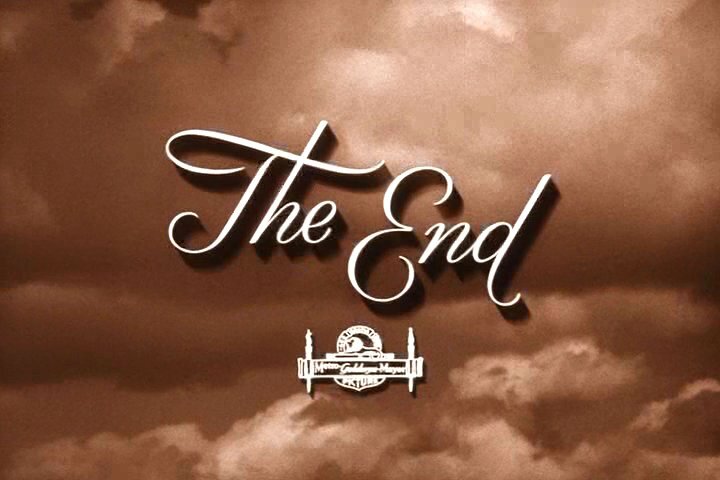 Jesus wins in the end. So even during times when Satan wants to keep you down and steal your joy, remember it’s not over until it’s over. Ultimately Jesus wins, and so do you. Fight the good fight. Don’t let Satan steal your joy in the process. Seahawks 28, Packers 22, no joy robbing allowed! We are Super Bowl bound! 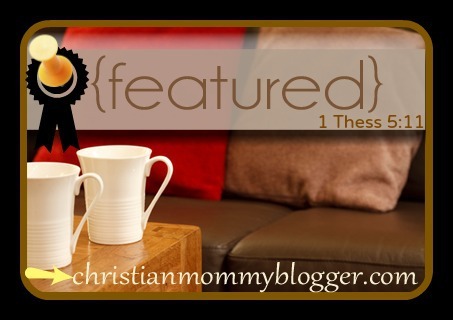 ~ This post is happily shared with Christian Mommy Blogger/Fellowship Fridays. 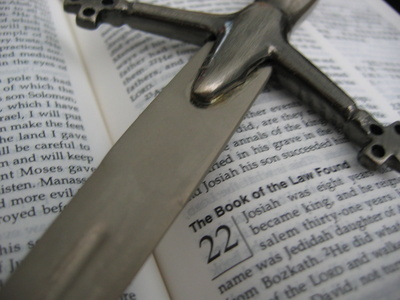 It is not unusual for my mind to be on matters of Christian faith. I am not a trained pastor. I haven’t attended seminary. I don’t pretend to be a religious scholar. 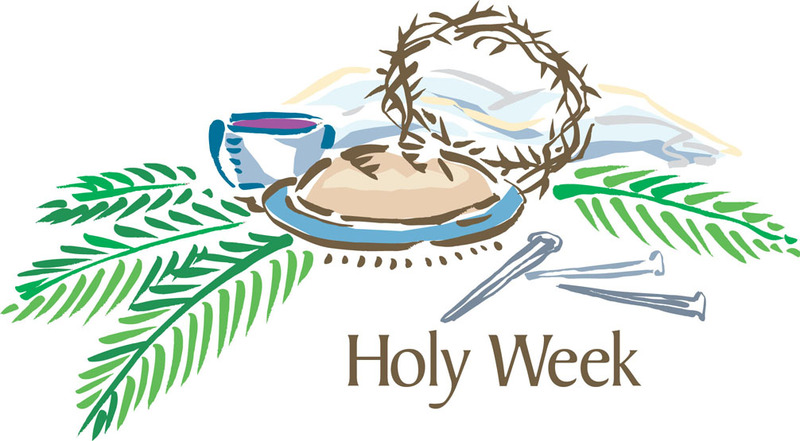 So why would I spend time on Holy Week sitting down to write a post about it? It is because FAITH matters! 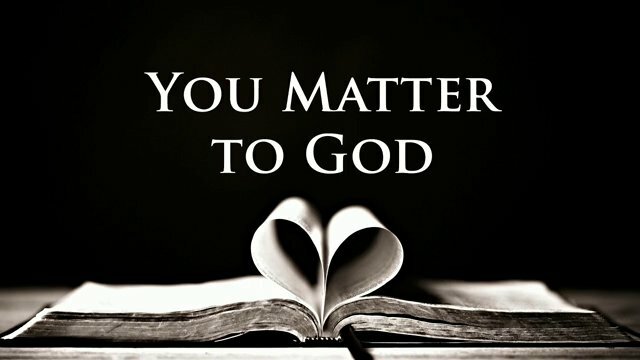 And YOU matter to God! If you are anything like me, you may not have grown up believing that, or maybe you still have doubts about it to this day. The root of that doubt doesn’t lie with God. It lies to a large degree with the formation of your identity as a young child and your family of origin. Hard to believe? Then consider the standard you are using to determine the validity of that statement. Are you believing the father of all lies, the devil (John 8:44)? Or maybe you are comparing yourself to the Heroes of the Faith praised in Hebrews 11. Are you saying, “I’m no Moses”, or “I don’t have faith like Abraham?” These Fathers of our Faith ended their lives well, but they had many sinful acts in their lifetimes. Moses murdered an Egyptian and fled to Midian (Exodus 2). Out of fear for his own safety, Abraham passed off his wife Sarah, as his sister, allowing a king to take her as his wife (Genesis 12). These heroes of our faith were broken people who failed, but God still used them, just like He uses us. How can we consider ourselves holy? Romans 10:9 says, “If you declare with your mouth, ‘Jesus is Lord,’ and believe in your heart that God raised him from the dead, you will be saved.” Jesus sacrifice was the price to make us holy in God’s eyes. God doesn’t see our sins anymore. We are the ones who condemn ourselves and continue to act like or believe we are unworthy. Still having a hard time seeing yourself as holy—or that God would consider you holy? I grew up thinking (mistakenly so, by the way) that saints were only those people who were canonized by the Catholic Church. However, there are many verses in the Bible that reference God’s people as saints. For instance, Paul uses the term saints over and over again in his greetings to the New Testament churches. When our time comes to leave this life, Psalm 116:15 tells us: Precious in the sight of the Lord is the death of His saints (New King James Version). 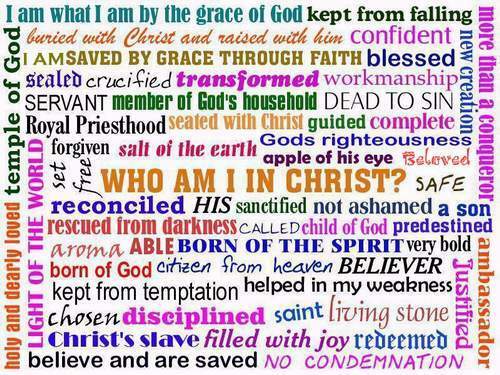 As you enter into these last few days of Holy Week, remember who you are, and whose you are. 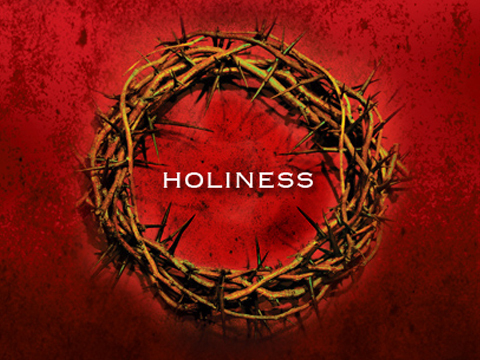 Your holiness was paid for with a price. 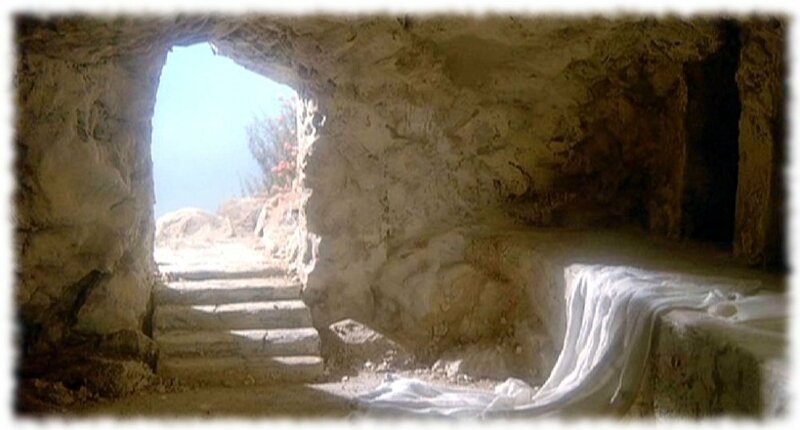 The proof is in the empty tomb. He is risen indeed! *For a great book on our identity in Christ, read Identity Crisis: Reclaim the True You by Tamara J Buchan, or better yet, attend one of her amazing retreats. CHANCE to WIN: This post was selected as the featured post on Christian Mommy Blogger. 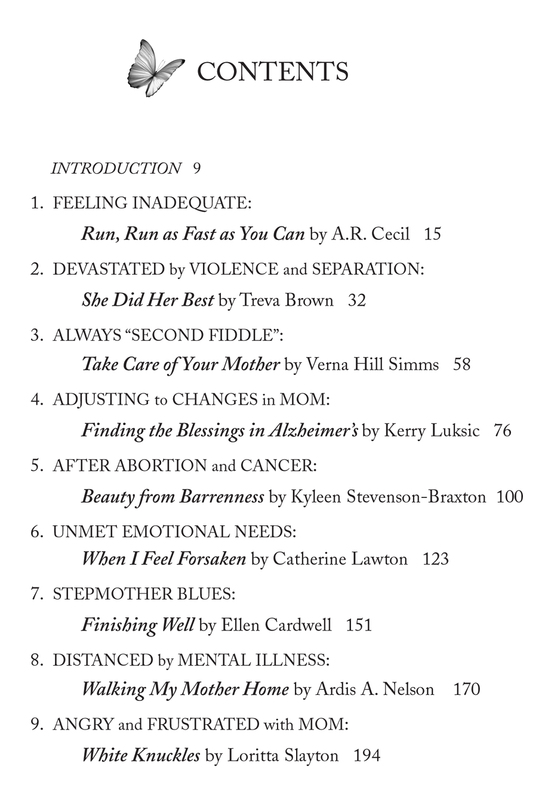 If you arrived by way of that site, please comment below how this post touched you to be entered in a drawing for an autographed copy of my book, Journeys to Mother Love. MORE CHANCES TO WIN!! ‘Like’ my Facebook page or subscribe to my blog (on the right sidebar). One entry for each that you do–up to three entries total. Entries close on midnight PST on Sunday, 5/4/14. I live in Seattle, Washington. If you are living in the U.S., you’d have to be living the life of a hermit to not know that the Seattle Seahawks are playing in the Super Bowl on Sunday. It is our second time to play in this sacred American football game. The first time was in 2006 when we played against the Pittsburgh Steelers. I remember it well because it was a frustrating game to watch. 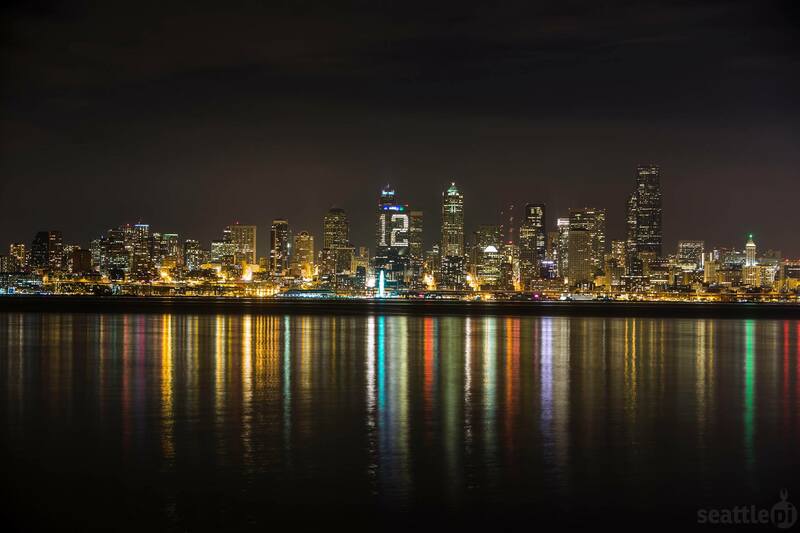 Seattleites felt cheated out of a Super Bowl victory due to some poor officiating. This time around I’m hoping and praying for better calls on the field. 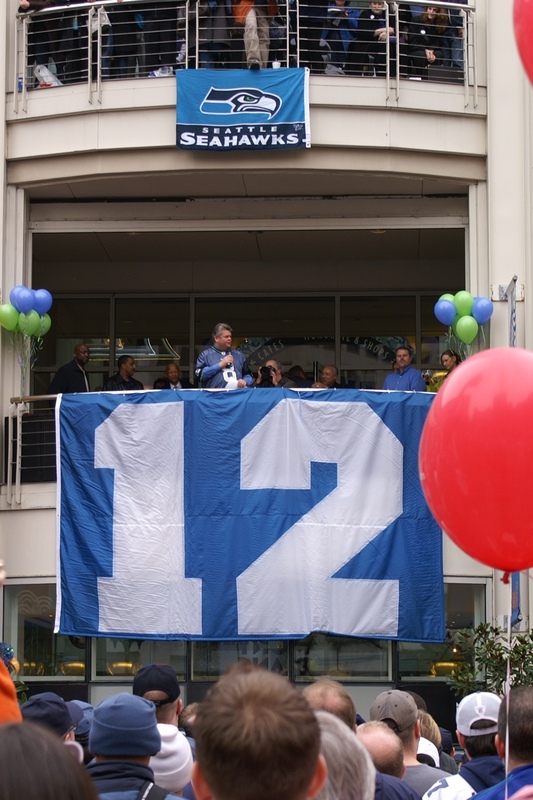 Former Seattle Mayor Greg Nichols addresses the crowd at a Seahawks rally before the Super Bowl in 2006. I don’t follow sports in general, and am not a football fan by nature. I grew up in the St. Louis area in the 1970s, and thanks to my maternal grandfather and my favorite uncle, I was groomed to be a fan of the MLB St. Louis Cardinals. That was back in the days when Lou Brock, Bob Gibson, Joe Torre, and Keith Hernandez were the stars of the team. 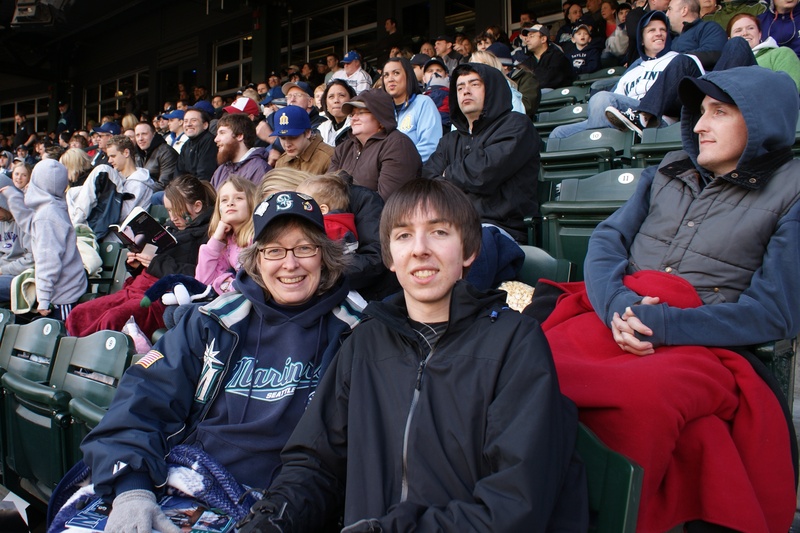 When I moved to Seattle as an adult, I transferred my fan loyalty to the Seattle Mariners. (Yes, it’s been a rough tenure to be a Mariners fan.) We have had our moments though, like the 1995 ‘Refuse to Lose’ pennant race and the 2001 season–when 8 team members were on the MLB American League All-Star team, and we tied the MLB record of 116 wins in a season. I have instilled that love for baseball into my sons too—to some degree anyway. There were several years when we made a ritual of going to Opening Day games together or we’d stand in line for players’ signatures at the dugout. In reality, it was more of my passion, but we did have fun together. Mariner’s Opening Day 2009, watching the return of Ken Griffey, Jr. to Seattle with my son. The point behind all this sports talk is about how we can jump on the bandwagon for the next best thing. We have to be careful who we align ourselves with and what team we are rooting for. It’s easy to get caught up in the hype of the next best ‘thing’. I know I have–remember Beanie Babies? 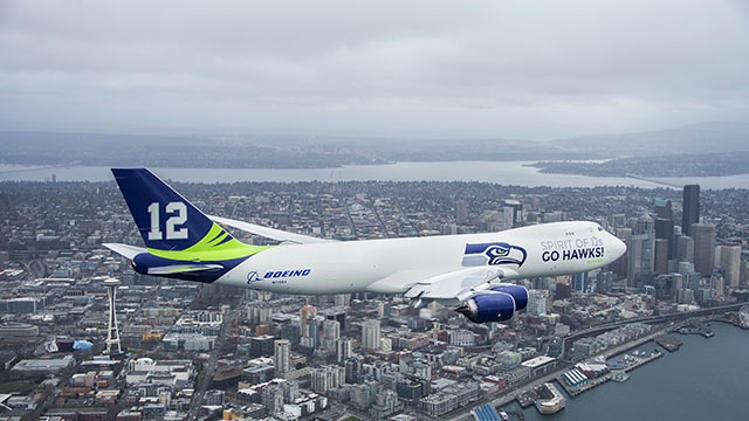 I’m not saying we shouldn’t get excited for the Seahawks going to the Super Bowl. On the contrary, I’m a little disappointed that I didn’t follow things more closely this year. Local friends are going all out with their Facebook posts. Everyone is wearing team clothing or the team colors. The 12th Man flag is flying all over town. When Sunday’s game rolls around, I’ll be cheering the Seahawks on to victory. I’ll be all caught up in the excitement with everyone else in Seattle. GO HAWKS! The real game or fight though is the battle for our souls. It is a battle where our main foe is Satan—the father of all lies. 1 Peter 5:8 tells us: He prowls around like a roaring lion looking for someone to devour. Like the receiver who runs with abandon toward the end zone for a touchdown, we have to be on guard for Satan’s attacks. He has a game plan designed to divert us from leading the life God intends for us. I’ve been on Jesus’ team for many years. Although I know the victory is His, there are many times in my life when I can’t see that in the physical world, and it is hard for me to believe—due to tragic world events or what is going on in my personal life. I’ve learned to trust Him no matter what. So the question I am posing today is not necessarily who are you rooting for in the Super Bowl, but more importantly, whose team are you on? When the 2-minute warning goes off, whose side are you going to be on? The side for eternal life or eternal death? It’s not a difficult choice. Check out the video below produced by the Seahawks, and then you can decide. Updated 2/2/2014: Seahawks win 43-8 over the Broncos! What an unbelievable victory! 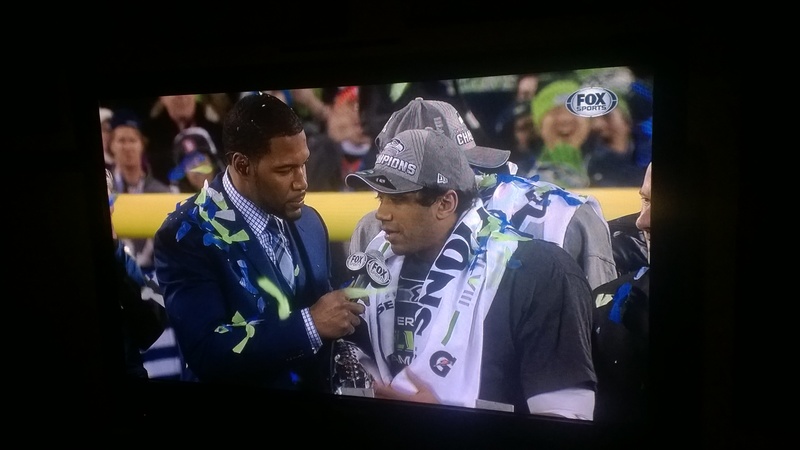 The first words out of QB Russell Wilson’s mouth, “God is so good.” Yes, He is! Thanks for bringing the Lombardi Trophy home to Seattle. Thanks for displaying such a wonderful walk of faith and grace under pressure. Over the past few weeks I have been under an amazing amount of spiritual attack. The attack actually started a few months ago as we formed a team at my church to launch a Celebrate Recovery ministry. Initially the attack was in the form of many organizational and logistical obstacles to overcome. 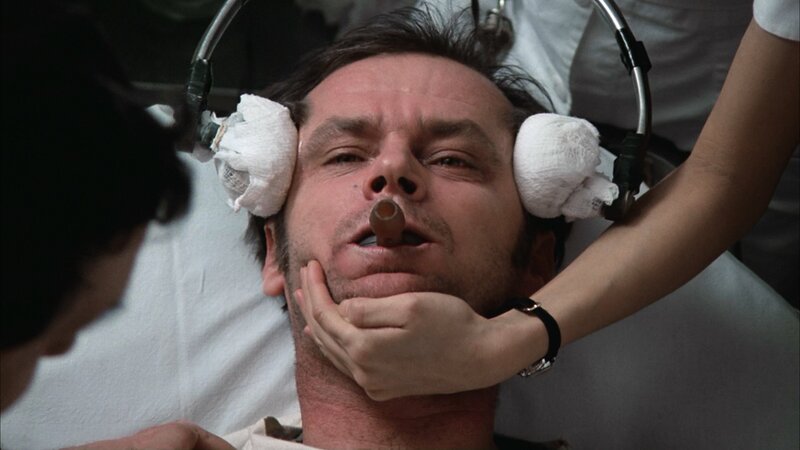 But then a few weeks ago, the attack turned very personal in nature when my motives and recovery were questioned. When this first happened, a friend told me that I was being bullied. That is exactly what it was—only this time it wasn’t being done by some school age kid, it was by an adult. It was a painful process to walk through. As I did, I was able to share with my 14-year-old son how to take responsibility for my part in the matter, offer and seek forgiveness and to walk tall in midst of the continuing attack. I was thankful to be able to turn this into a teaching moment with him. Like my friend, he recognized it as bullying from the start. In hindsight, I can definitely see how Satan used this to throw me off course and to attempt to derail me from being on this team. Sometimes I even became my own worst enemy in the process. When I was young, kids used to say ‘sticks and stones may break my bones, but words will never hurt me’. As an adult, I know that those words are not true. Words do hurt people. And in fact, quite often people intentionally do use words to hurt people. After all, hurt people hurt people. Their words can and do stick with you—if you allow it. The voices from people in our past, including bullies can keep us stuck in the past and prevent us from living the life that God has called us to. Satan wants us to keep believing those lies. He puts the bait out there and wants us to get hooked on it. Once we do, we can easily go down the road of doubt, self-condemnation and becoming a victim. It is not a pretty sight. I know because I have been caught up in it in the past and have to constantly be on the lookout for it. That is precisely the reason I love Celebrate Recovery. It is all about working through our hurts, habits and hang-ups. Quite often it is the words that have been spoken into our lives in the past that we don’t let go of. We repeat them in our mind or we listen to the voices in our head that tell us we are not good enough and that God could never use us or love us after what we have done. Celebrate Recovery is a safe place to work through those hurts with others who also struggle and have found victory over it through Christ. I know that Satan is not done with his attacks against me or this ministry. He knows it is a threat to his dominion. I also know that God is not done with me yet. He is using my trials to build me up into a better leader. I have a group of amazing mentors, accountability partners and prayer warriors around me that have walked this road as well. I know I am not going down a path that has not been walked before. I have some battle scars, but will proudly reveal them to those who want to walk this journey with me. In the face of persecution and spiritual attack, we have a choice to make. 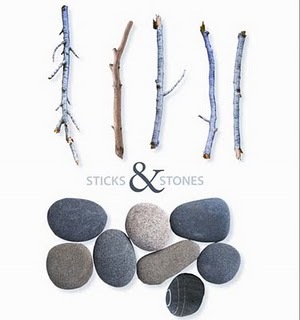 Are you going to let the ‘stick and stones’ lies of the enemy define you or are you going to believe what God tells you about your identity in Christ and His plans for you? I choose to believe God. I know He’s got my back. What about you?